Dr. Ashraf Salama is Professor of Architecture in the Architectural Engineering Program of Qatar University in Doha. Prior to that, he was Associate Professor of Architecture at the Department of Architecture, King Fahd University of Petroleum and Minerals-KFUPM. Please see here his new website that he recently developed to include his work and his wife's work http://www.arti-arch.org. He was the Director of Research and Consulting at Adams Group Consultants in Charlotte, North Carolina, USA (2001-04). He is a licensed architect in Egypt, trained at Al Azhar University and North Carolina State University, Raleigh, NC, USA. He is Associate Professor of Architecture, Al Azhar University, Cairo (on leave of absence), and former Chairman of the Department of Architecture, Misr International University in Cairo (1996-01). Dr. Salama has written over 50 articles and papers in local and international conferences and archival journals, and trade magazines; published three books on Architectural Education: Designing the Design Studio, Human Factors in Environmental Design, and Architectural Education Today; delivered lectures and presentations in over 25 countries; and contributed widely to international publications. He was member of the UIA/UNESCO International Committee of Architectural Education, and the Director of Architectural Education Work Program of the International Union of Architects-UIA (1995-00). He is currently co-Convener of the International Association for People-Environments Studies-IAPS Education Network. He was the recipient of the first award of the International Architecture Design Studio, University of Montreal, Canada, 1990, and in 1998 he won the Paul Chemetove Prize for his project on Architecture and the Eradication of Poverty, a United Nations International Ideas Competition. Dr. Salama served as a consultant to the Egyptian Ministries of Tourism and Culture. He also served as member in the international jury for projects within the context of the revitalization of Sarajevo, Bosnia, and a UIA Jury member in the international competition on designing a central urban park in La Paz, Bolivia. He has been appointed a technical reviewer for the Aga Khan Award for Architecture in Geneva, Award Cycle (1998-01). Salama has been involved with the Community Development Group of the College of Design, North Carolina State University (1993-95). His academic experience includes teaching courses on Programming and Space Planning, Research and Design Methods, Applications of Socio-Behavioral Studies in Design, and Interior Design, Architectural and Community Design Studios. His professional experience includes consultancy for several government and public agencies, and managing design projects from inception through programming and space planning, encountering users and environmental constraints. His recent research places emphasis on design studio teaching practices, and workplace and learning environments.  Incorporating Knowledge about Cultural Diversity into Architectural Pedagogy (1999).  Skill-Based / Knowledge-Based Architectural Pedagogies: An Argument for Creating Humane Environments, paper given by Ashraf Salama at the 7th International Conference on Humane Habitat-ICHH-05 – The International Association of Humane Habitat IAHH, Rizvi College of Architecture, Mumbai, India, January 29-31, 2005.  Shores of the Mediterranean: Architecture as a Language of Peace, co-edited by Ashraf Salama with colleagues from Napoli, Italy, Donatella Mazzoleni, Giuseppe Anzani, Marichela Sepe, and Maria Maddalena Simone, 2005. Intra Moenia, Rome and Naples, Italy: Edizioni.  Patterns of Change in Work Environments: A Process-Employee Centered Paradigm, introductory speech given by Ashraf Salama at the 8th International Conference of IAHH-the International Association for Humane Habitat- Sustainable and Humane Workplaces. Mumbay, India, January 27-29, 2006. 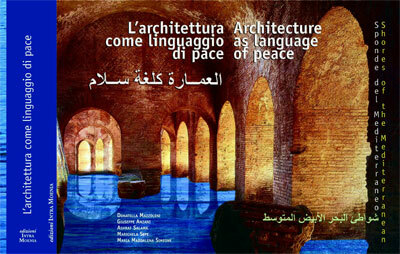  Architecture as Language of Peace: Democracy and Collaborative Design Processes, a short course by Dr. Ashraf Salama.  PLADEW: A Tool for Teachers Awareness of School Building Sustainability: The Case of Carmel School, Mathews, North Carolina, in the Global Built Environment Review-GBER, International Center for Development and Environment Studies ICDES, Vol. 5, 2005, Issue (1), Edge Hill, Lancashire, United Kingdom. ISSN 1474 6824.  A Process Oriented Design Pedagogy: KFUPM Sophomore Studio, in the Journal of the Center for Education in the Built Environment-CEBE Transactions, University of Cardiff, Vol. 2, 2005, Issue (2), Cardiff, United Kingdom. ISSN 1745-0322. 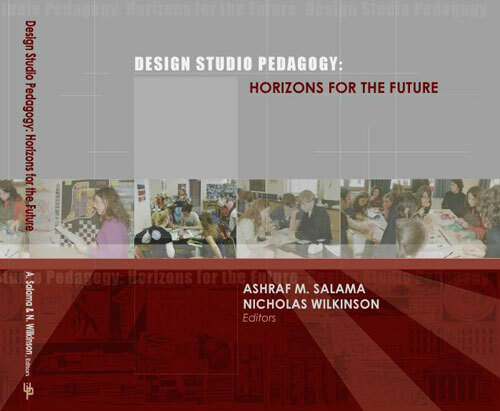  Design Studio Teaching Practices: Between Traditional, Revolutionary, and Virtual Models, with Guest Editor Ashraf Salama, Ph.D., Professor of Architecture, in Open House International (OHI) (Academic Refereed Journal), Special Issue, Volume 31, No.3, September 2006 (Contact "Carol Nicholson" Carol.Nicholson@ribaenterprises.com).  Symbolism and Identity in the Eyes of Arabia’s Budding Professionals, in LAYERMAG ... An Online Magazine on Architecture, Art, and Design, and Media Studies.  A Lifestyle Theories Approach for Affordable Housing Research in Saudi Arabia, in the Emirates Journal for Engineering Research, Vol. 11, 2006, Issue (1), United Arab Emirates University, Al Ain, UAE.  Learning from the Environment: Evaluation Research and Experience Based Architectural Pedagogy, in the Journal of the Center for Education in the Built Environment-CEBE Transactions, University of Cardiff, Vol. 3, 2006, Issue (1), Cardiff, United Kingdom. ISSN 1745-0322.  A Typological Perspective: The Impact of Cultural Paradigmatic Shifts on the Evolution of Courtyard Houses in Cairo, in the Journal of the Faculty of Architecture, Middle East Technical University. Vol. 23, 2006, Issue (1). METU-JFA, Ankara, Turkey.  Ashraf is the Chief-Editor of the new Journal ArchNet-IJAR, an interdisciplinary scholarly online publication of architecture, planning, and built environment studies. Please see here an outline and the submission notes to authors. The journal aims at establishing a bridge between theory and practice in the fields of architectural and design research, and urban planning and built environment studies. It reports on the latest research findings innovative approaches for creating responsive environments, with special focus on developing countries. The journal has two international boards; advisory and editorial. The range of knowledge and expertise of the boards members ensures high quality scholarly papers and allows for a comprehensive academic review of contributions that span wide spectrum of issues, methods, theoretical approach and architectural and development practices. Ken Yeang is director of Llewelyn Davies Yeang, a multidisciplinary firm of Urban designers, Architects and Landscape Architects. Yeang is known for pioneering the passive low-energy design of skyscrapers, what he has called "bioclimatic" design. Yeang's 1992 Menara Mesiniaga building in Subang Jaya Selangor, Malaysia outlines his bioclimatic techniques, including daring vertical landscaping, external louvers to reduce solar heat gain, extensive natural ventilation and lighting, and an active Intelligent Building system for automated energy savings. His concentration on energy conservation and environmental impact is a radical departure from mainstream architecture's view of the profession as more strictly an art form. Koichi Nagashima is an architect, urban designer and planner – a graduate of Waseda University, School of Architecture, Tokyo (B.A. Architecture), Harvard University, Graduate School of Design (M.A. Architecture) and the Athens Center of Ekistics, Graduate School of Ekistics, Athens, Greece. He has been Principal Partner, AUR (Architecture-Urban Design & Research) Consultants, Tokyo, and Visiting Lecturer, School of Architecture, Yokohama University and School of Architecture, Waseda University. He is nationally and internationally known for the large number of architectural, landscaping and planning projects he has undertaken – for which he has received high order prizes and other distinctions; his numerous publications; and teaching activities at universities in Japan, Australia and the UK. He is a member of the World Society for Ekistics and Japan Correspondent of Ekistics. He has been the Director of the UIA Work Programme, Architecture of the Future. Please see "From Decocity Towards Ecocity," in Ekistics, 376, pp. 70-79, 1996, and Glocal Approach Toward Architecture of the Future, 1999. Adenrele Awotona is currently the Dean of the College of Public and Community Service at the University of Massachusetts, Boston. He was formerly at Southern University in Baton Rouge, Louisiana, where he served as the Dean of the School of Architecture and at the University of Newcastle upon Tyne in the United Kingdom where he was director of graduate studies in architecture and urban design as well as director of the Center for Architectural Research and Development Overseas. His fields of technical expertise include sustainable community-based planning, post-disaster reconstruction and architectural design methods. He has been a principal investigator (or co-PI/researcher) on major projects funded by various agencies. These include the Boston Foundation, the U.S. Department of Energy, the U.S. Department of Housing and Urban Development, the U.S. Department of Education, the British Government Department for International Development, the United Nations Center for Human Settlements, the United Nations Development Program, and, the European Union. A stream of publications has, therefore, emanated from his work. Similarly, through research, consultancy and teaching, he has professional experience in many countries of Europe, Africa, Asia, the Middle East, South America, and the Caribbean. Adenrele Awotona’s publications include: Tradition, Location and Community: place-making and development (edited with Necdet Teymur, Ashgate, 1997); Reconstruction after disaster: issues and practices (edited, Ashgate, 1997); Housing provision and bottom-up approaches: Case studies from Africa, Asia and South America (edited, Ashgate, 1999); Proceedings of the International Conference on ‘Rebuilding sustainable communities in Iraq: Policies, Programs and Projects’ (edited, College of Public and Community Service, University of Massachusetts Boston, 2007). Furthermore, Adenrele Awotona has been an external reviewer/examiner of over 200 masters’ and doctoral dissertations internationally. Einar Strumse is also a Member of the HumanDHS Global Core Team and the HumanDHS Research Team. Einar Strumse (Cand. Psychol. and PhD in psychology) is the Head of the Department of Behavioural Science at the Faculty of Health Science at the Oslo and Akershus University College of Applied Sciences in Norway. Prior to that he was associate professor of psychology and head of the psychology programme at the Lillehammer University College (LUC). He is also adjunct associate professor of environmental psychology at the University of Bergen. Since 1990 his research in the field of environmental psychology has focused upon landscape preference/landscape aesthetics, environmental attitudes and predictors of environmental behaviors.